Are you scared of artificial intelligence (AI)? Do you believe the warnings from folks like Prof. Stephen Hawking, Elon Musk and others? Is AI the greatest tool humanity will ever create, or are we “summoning the demon”? In a recent Abundance 360 webinar, I interviewed Bryan Johnson, the founder of a new company called Kernel which he seeded with $100 million. Bryan Johnson is an amazing entrepreneur. In 2007, he founded Braintree, an online and mobile payments provider. In 2013, PayPal acquired Braintree for $800 million. In 2014, Bryan launched the OS Fund with $100 million of his personal capital to support inventors and scientists who aim to benefit humanity by rewriting the operating systems of life. 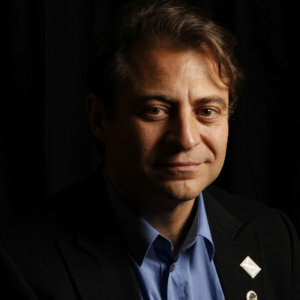 His investments include endeavors to cure age-related diseases and radically extend healthy human life to 100+ (Human Longevity Inc.), replicate the human visual cortex using artificial intelligence (Vicarious), expand humanity’s access to resources (Planetary Resources, Inc.), reinvent transportation using autonomous vehicles (Matternet), educate on accelerating technological progress (Singularity University), reimagine food using biology (Hampton Creek), make biology a predictable programming language (Emulate, Gingko Bioworks, Lygos, Pivot Bio, Synthego, Synthetic Genomics), and digitize analog businesses (3Scan, Emerald Cloud Lab, Plethora, Tempo Automation, Viv), among others. Bryan is a big thinker, and now he is devoting his time, energy and resources to building “HI” through Kernel. The company is building on 15 years of academic research at USC, funded by the NIH, DARPA and others, and they’ll begin human trials in the coming months. But what is HI? And neuroprosthetics? And how is AI related? 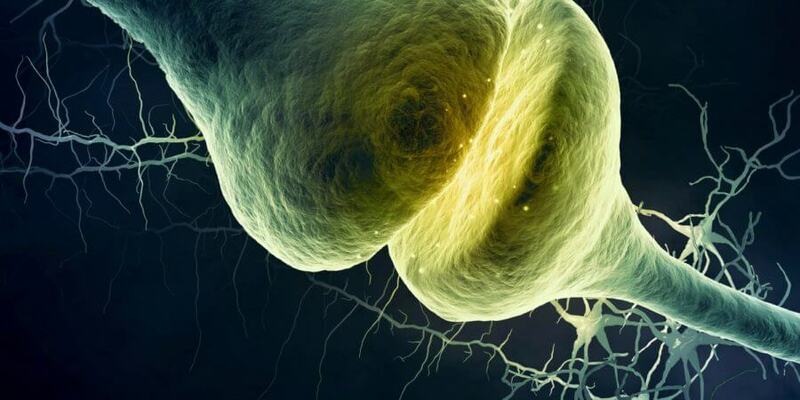 Your brain is composed of 100 billion cells called neurons, making 100 trillion synaptic connections. These cells and their connections make you who you are and control everything you do, think and feel. In combination with your sensory organs (i.e., eyes, ears), these systems shape how you perceive the world. And sometimes, they can fail. That’s where neuroprosthetics come into the picture. The term “neuroprosthetics” describes the use of electronic devices to replace the function of impaired nervous systems or sensory organs. They’ve been around for a while — the first cochlear implant was implanted in 1957 to help deaf individuals hear — and since then, over 350,000 have been implanted around the world, restoring hearing and dramatically improving quality of life for those individuals. But cochlear implants only hint at a very exciting field that researchers call the brain-computer interface, or BCI: the direct communication pathway between the brain (the central nervous system, or CNS) and an external computing device. The vision for BCI involves interfacing the digital world with the CNS for the purpose of augmenting or repairing human cognition. You might have heard people like Elon Musk and others talking about a “neural lace” (this was actually a concept coined by science fiction writer Iain M. Banks). Banks described a “neural lace” as essentially a very fine mesh that grows inside your brain and acts as a wireless brain-computer interface, releasing certain chemicals on command. Well… though the idea might have started as science fiction, companies like Kernel are making it very real. And once they do, we’ll have robust brain-computer interfaces, and we’ll be able to fix and augment ourselves. Ultimately this will also allow us to merge with AIs and become something more than just human. Humans have always built tools of intelligence. We started with rocks and progressively built more intelligent tools such as thermostats, calculators, computers and now AI. These are extensions of ourselves, and so we’ve been increasing our intelligence through our tools. But now, our tools have become sophisticated enough (thanks to exponential technologies riding atop Moore’s Law) that we are about to incorporate them into our biology and take an exponential leap forward in intelligence. This is so significant that it will change us as a species — we’re taking evolution into our own hands. I like to say we’re going from evolution by natural selection — Darwinism — into evolution by intelligent direction. We can now focus on technologies to augment human intelligence (HI). This is what Bryan Johnson and Kernel are focused on. The first step is to answer the basic question: can we mimic the natural function of neurons firing? If we can mimic that natural functioning, and restore circuitry, or even if we can just maintain that circuitry, it begs the question: could we improve that circuitry? Could we make certain memories stronger? Could we make certain memories weaker? Could we work with neural code in the same way we work with biological code via synthetic biology or genetic code? How do we read and write to neurons? Could we merge with AIs? In my friend Ray Kurzweil’s mind, the answer is most certainly yes. Ray Kurzweil is a brilliant technologist, futurist, and director of engineering at Google focused on AI and language processing. A few weeks ago, I asked Bryan about Ray’s prediction about whether we’d be able to begin having our neocortex in the cloud by the 2030s. Interested in A360? The program is highly selective. If you’d like to be considered, apply HERE.